The ON TARGET Fencing Team of Northern Ohio is a group of Foil and Epee fencers from Lorain, Lake, Summit, Portage and Cuyahoga County. We have classes in Hathaway Brown School, Hudson (2 classes, beginner and intermediate foil), Laurel School, Kenston-Bainbridge, Kent, Mentor, North Ridgeville (2 classes on two days, foil and epee both days), Orange, Solon (2 classes, beginner and intermediate foil), Strongsville and Western Reserve Academy. 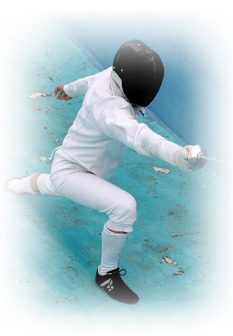 Registered with, and insured by the United States Fencing Association, it is an official fencing club. Head Coach Tom Nagy, a 43 year fencing veteran, is certified by the United States Fencing Coaches Association as an instructor in foil. Rich Hamper is Epee Coach. Derek Wilkinson is Three Weapon Coach. If you are not on the On Target Email list yet, then please contact Head Coach Tom Nagy 440 327 0808 or tomnagy@windstream.net before attending a practice due to weather cancellations and planned practice cancellations. For North Ridgeville practices, a new payment plan is going into effect starting on April 16, 2018 for the month of May. For practices in April, the current payment plan is valid. For May 2018 and forward, all fencers have to register, and pay IN PERSON with the North Ridgeville Parks and Recreation Department, either IN PERSON at the office at 7327 Avon Belden Road, 44039 during office hours Monday through Friday, 8 am to 430 pm, or ONLINE at North Ridgeville Parks and Recreation under the programs tab and then under Youth.